Name: It's Spring Cleaning Time! 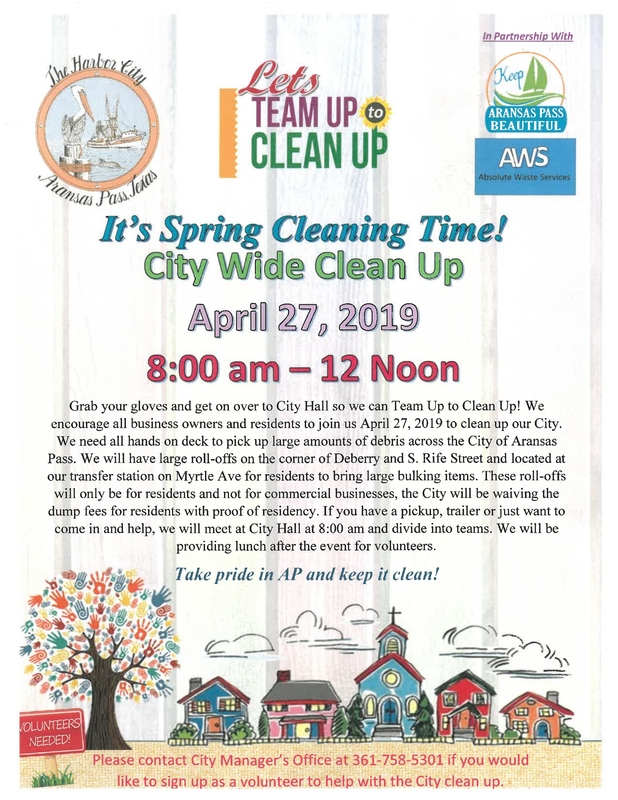 City Wide Clean Up! Call the City Manager's Office to sign up as a volunteer.